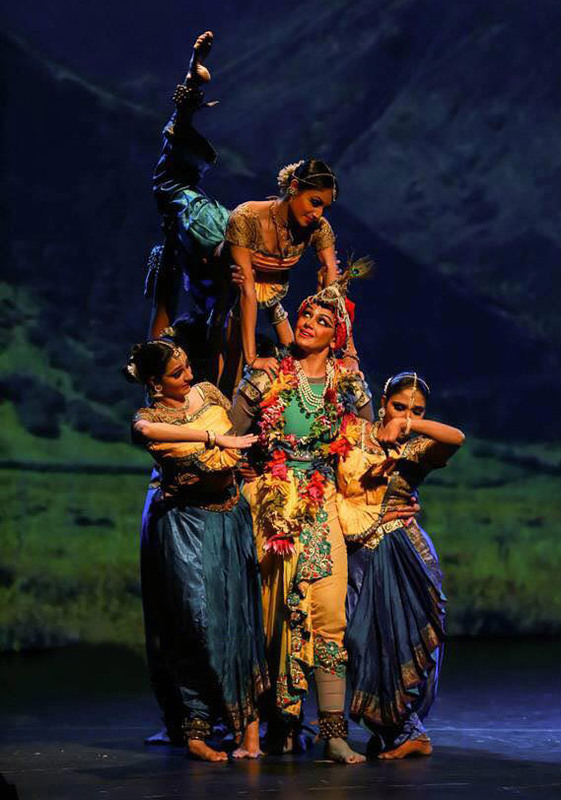 Shobana, the eminent actress and dancer presented her dance drama performance 'Krishna' in Canada during October 2015. 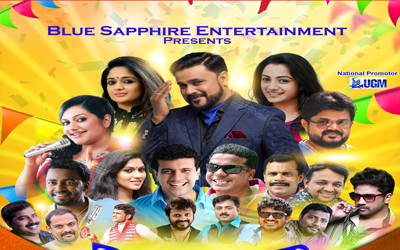 Blue Sapphire Entertainment Inc, organized the programme in Toronto in association with the National Promotor Freedia Entertainment, event managed by Keraltoday.com, a leading event management company from India. Krishna was first performed on 22nd August 2011 at Chennai on Krishnashtami Day (Lord Krishna's Birthday). This English version of Krishna has been conceived and created by Shobana after long years of research, training and practice. The role of Krishna is played by Shobana accompanied by a group of 16 artists including her daughter Narayani. The design of Krishna didn't follow the conventional pattern. Instead, it was a symphony of various dance forms ranging from ancient classical form to bollywood film dances. The background design of the performance provided the majestic ambience of Madhura, Vrindavan and Kurukshethra. Though the story of Krishna has been told in several languages, this was the first full- fledged song and dance performance on Krishna in English. With regard to the musical score too it weaved together melodies from Carnatic Classical, along with music and songs from Hindi, Tamil and Malayalam. Popular film songs composed by the illustrious music director, A. R. Rahman forms the musical theme of the dance drama. The sound mixing was done by the Oscar winner Rasool Pookutty. The voice of the characters were rendered by some of the best known film actors from India; Surya for Arjuna, Konkana Sen for Radha, Shabana Azmi for Gandhari, Shobana for Draupati and actors like Andrea Jeremiah, Sukumari, Prabhu, Nanditha Das, Radhika lent their voice to the other characters in Krishna. Through the enchanting dancers of Shobana and her troupe, the North American audience witnessed to the story of Krishna avatar right from his birth to his demise. This play of epic proportions brings to life all the nine rasas and bhavas (moods & expressions) while unravelling the ever enchanting story of Krishna. This performance about eternal love and wisdom performed through charming dance and music and have enthralled the audience by evoking the profound relationship between human beings and nature, the varying hues of seasons.